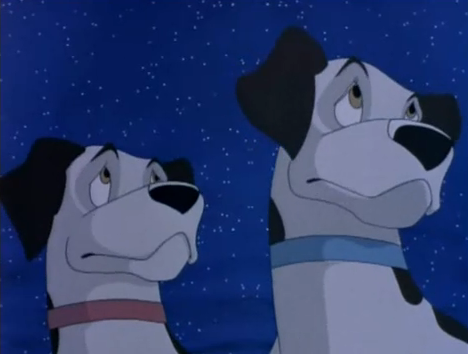 There are two foreign animated movies about the Titanic disaster that star talking animals. Both movies are, as you would expect, thoroughly bizarre. Due to the similarity of the titles and a mix up on my part, I wound up watching both of them, despite the fact that only one of them is in the IMDb Bottom 100. Interestingly enough, “The Legend of the Titanic” has an overall IMDb score of 1.3, which is well below the 2.4 of “Titanic: The Legend Goes On”, which is actually listed in the Bottom 100. There are more factors that go into the IMDb Bottom 100 ranking than score alone, though, which is why “The Legend of the Titanic” isn’t included. Most notably, there is a minimum quota of votes necessary for a movie to qualify for the list, a number which “The Legend of the Titanic” hasn’t reached yet. Still, given I had already watched the movie and that the score is so tremendously low, I figured I might as well review it in conjunction with “Titanic: The Legend Goes On”. In fact, if “The Legend of the Titanic” qualified right now for the IMDb ranking, it would come in at #1 in the Bottom 100. That is good enough for me. “The Legend of the Titanic” was a far more entertainingly bad movie than I could have possibly expected. I honestly absolutely loved it. The villains were all over-the-top in the best possible way, including the notably eye-patched whaling baron primary antagonist (who was an absolute delight). The voice acting of the character reminded me of Harvey Korman playing Hedley Lamarr in “Blazing Saddles”, in that it was perfectly seething with high-class malevolence. The character also orchestrated one of the most elaborate and nonsensical plots I’ve ever seen in a movie, which certainly earns extra credit. Somehow, this man devised a plan to work with a gang of talking sharks to sink the Titanic in order to secure a monopoly on the Atlantic whaling market. It is even more ridiculous than what you are picturing. 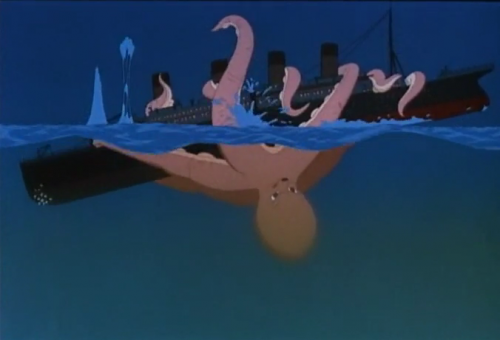 There are a plenty of other astoundingly nonsensical characters and plots in “The Legend of the Titanic”, including a woman who can talk to animals due to the reflections of moon beams in her tears, an octopus capable of throwing icebergs for miles, and talking Brazilian mice who apparently introduced soccer to the Americas. Needless to say, I can’t recommend this movie highly enough: the constant stream of nonsense in this movie is entertaining throughout. This talking octopus prevents anyone from dying on the Titanic. Everyone survives. 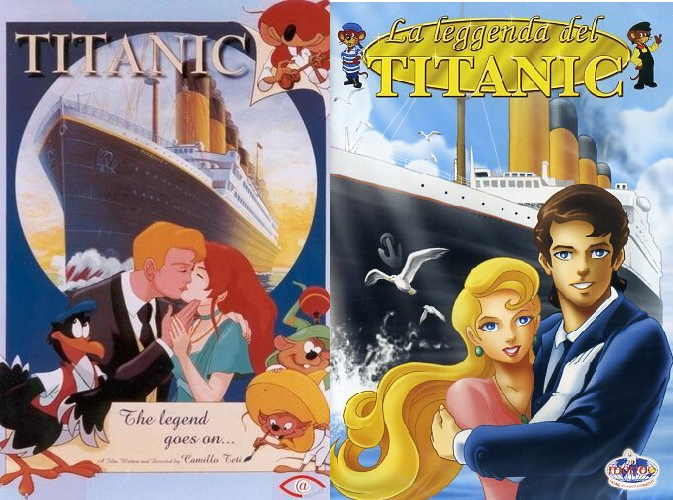 “Titanic: The Legend Continues” is quite a different case. “The Legend of the Titanic” has an entertainingly nonsensical plot, but it is more or less half-competently assembled. “The Legend Continues” is an absolute wreck (ha) in comparison. The voice acting and animation are both massively jarring and out-of-sync, making the act of watching the movie a chore (more-so than it would have been anyway). It is also a musical, which adds a whole new layer of misery to the film. Look familiar? Of course they do. There is the potential for a fantastic (perhaps lethal) drinking game based on spotting the cliches and ripoffs in this movie. One of the other huge problems with “The Legend Goes On” is an overabundance of characters, none of whom get much screen-time to develop personalities or stories. There are countless unnecessary one-dimensional characters in this film, such as the lounge singer, the first officer, the under-cover New York cop, and the jewel thief family. None of them play much into the plot, and those are just a handful of the useless human characters. I couldn’t even keep track of all of the stereotype-dependent animals wandering around on the ship. I suppose “The Legend Continues” should get points for acknowledging that the Titanic disaster actually happened (unlike “Legend of the Titanic”), but everything was so hastily and lazily thrown together, I can’t help but like “Legend of the Titanic” more. “The Legend Goes On” is a move painful watch than “The Legend of the Titanic” if you ask me, and doesn’t have nearly as many laughs. There are plenty of nonsense moments that are entertaining, but most of the value of “The Legend Goes On” comes from basking in its incompetence in the realms of voice acting and animation. If you don’t get a kick out of watching cinematic failures, it is going to be very hard to sit through. However, I think these two movies go very well together. 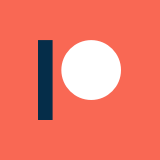 They are so astoundingly similar in plot and characters that they are very often confused with each other, and they even make a lot of the same mistakes. If you aren’t interested in sitting through them in their entirety though, The Nostalgia Critic has reviews of both movies that hit all of the highlights (below).